$59 A/C Diagnostic or Tune Up Special, Ductless Special! Please visit our promotions page! Back To Doing Business The Fair Way! We are going back to doing business the way business use to be done. Treat people the correct way. Do what you say, say what you mean. Fairway is more than just our name, it’s our way of doing business! The team at Fairway Cooling & Heating is committed to delivering the best service and value for those seeking to replace, repair, or maintain their home comfort system. 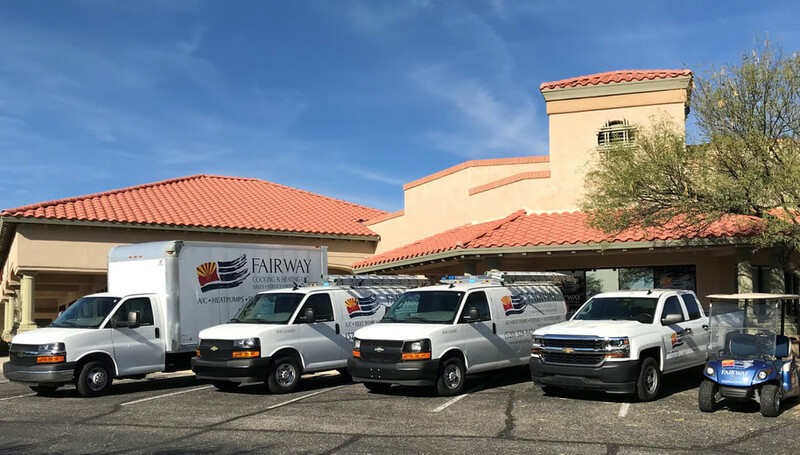 Fairway Cooling & Heating delivers the best in energy-efficient home comfort services specializing in Dove Mountain, Oro Valley, Rancho Vistoso, SaddleBrooke, and other North side communities. Choose a product category below to see what we offer and determine what best fits your needs. American Standard provides whole home comfort with a diverse range of options based on each family’s unique needs. The #1 selling brand of ductless. The systems are energy-efficient and easy to install. Ensure air ducts, tables, furniture, countertops, bathrooms, and practically every surface you touch are cleaner and safer for your family. We install top rated climate controlled/home comfort systems and we will keep all brands of home cooling and heating systems running cleanly and efficiently with our seasonal maintenance. Our expert technicians are industry-trained and certified to work with all major residential hvac systems. Our service team will ensure your new or existing system is running at its optimal efficiency so you can fully enjoy your home and start saving on your home cooling and heating bills. We are very happy with our decision to go with Fairway for our new furnace and A/C units! Owner Brian did our in-home quote and we were impressed with his knowledge and integrity. Installers Jesse and Julian were great guys…friendly and efficient. They took time to explain our new system and answer all our questions. We will definitely recommend Fairway to all! After driving cross state to my new home in Sun City Oro Valley I discovered my air conditioner was out in 105 degree weather! I called Fairway Cooling Sat afternoon from a friend’s referral and the owner Brian called me back right away. He offered to bring a portable air conditioning until a tech rep could check out on Monday. What a relief. After talking with Brian and assessing the age and condition of the unit 2007 and potential parts replacement challenges I decided to replace. He explained models and options well with no hard selling. The install was scheduled for Thursday given the 4th of July holiday. Brian even brought a second portable unit on Monday. The technicians were early, professional, and left no trace beyond a very quiet new Bryant system with an excellent warranty from Bryant and Fairway. Excellent personal customer service all around with quick turnaround. Are you kidding me? These guys are fantastic! I was told they would be here at 8AM (sure they will) They pulled up at 7:58AM Hmmmmm. Great start, they proceeded installing everything neatly and efficiently. I watched them almost through the entire install. I was impressed! I was told they would be done by noon. They finished and loaded all the old stuff and pulled out of the driveway at 11:52! I was happy with the price and professional installation. I’m giving them 6 Stars! Fairway Cooling and Heating come highly recommended! By the way, my wife worked in customer service for 30 years and she was very impressed with their customer service also. Very pleased with service provided. Called and they were able to come out quickly and got the job done quickly and efficiently. It was an experience that makes it easy to recommend Fairway for cooling/heating needs. Our A/C and furnace quit working we called Fairway Cooling and talked to Brian, he was very polite and send one of his guys over right away to check it out. Rene showed up checked out the system and found out it was just a fuse they fixed it right away and gave us some good advice on duct cleaning. 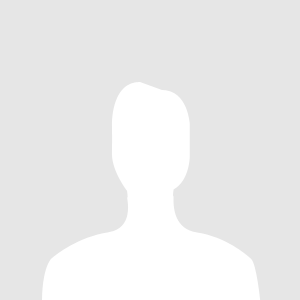 The price was more then reasonable and the service was fantastic. I would not hesitate to call them for any heat or a/c issues. Great guys and fantastic service.